Still, the event itself was magnificent and crazy fun and horribly messy at time (/Epic Conclusions the griefers). 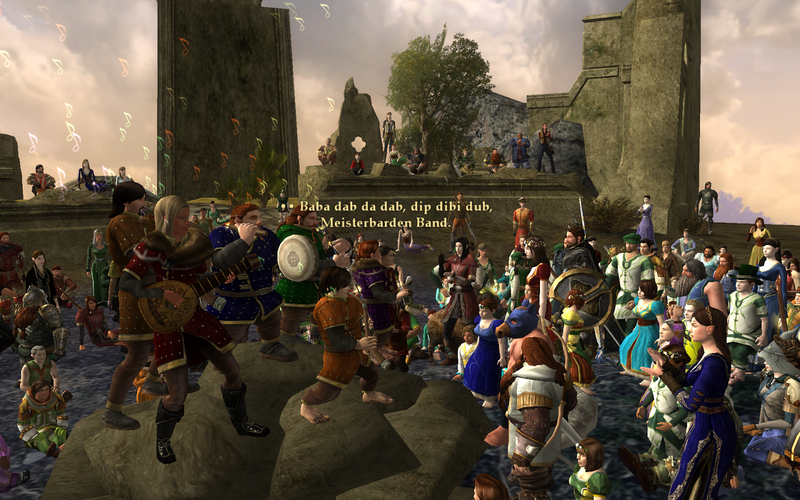 I had an absolutely brilliant time playing in the LMB Megaband. 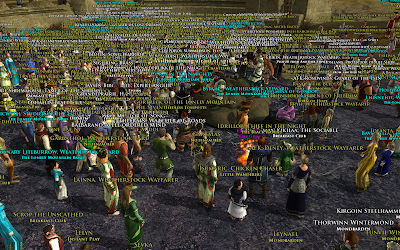 I did crash a few times, aside from the griefer crashes, but miraculously all my crashes happened at non-vital times in the schedule. 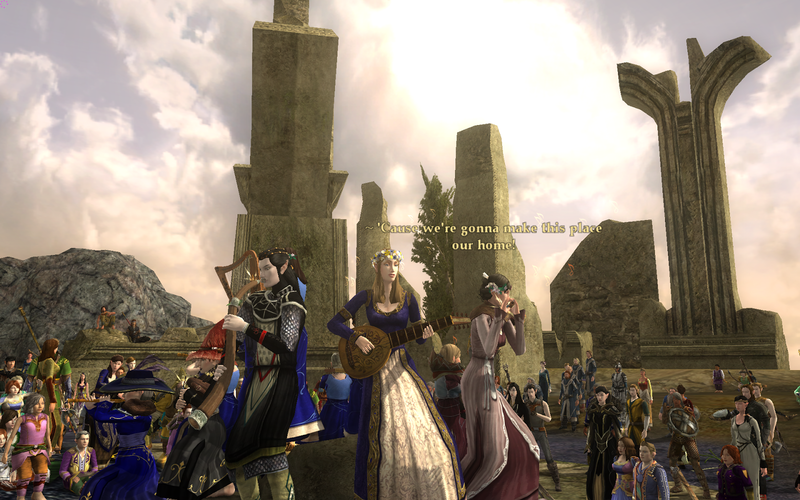 Last year my favourite songs from the Megaband at the summit were The Farmer Maggot vs Witch-King Pibgorn-off song....I forget what that's actually called, but that's catchy..and Fair Maid and the Fool. This year they were both chosen for the playlist so I was over the moon to be on pibby for the Farmer Maggot song, and horn for FM&tF!! 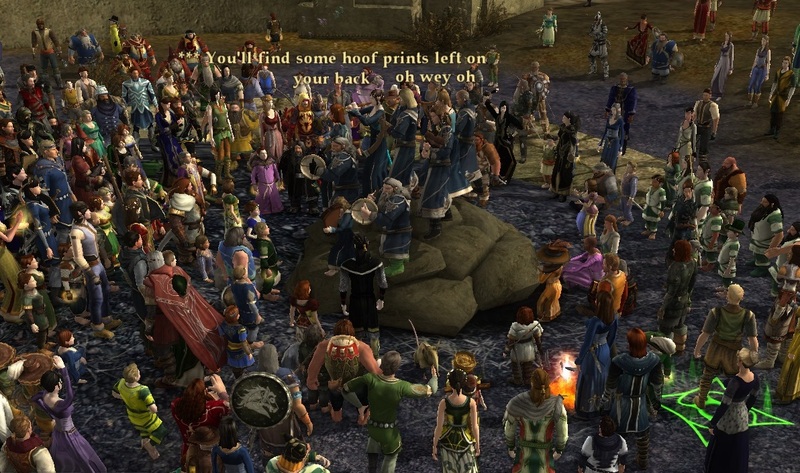 I am desperately hoping that all my screenshots and videos aren't lost forever in my friend's computer crash and that this post will be able to be one heckton of a lot longer. Congratulations first to The Remediators, worthy winners, and also to The Rolling Kegs, Die Meisterbarden von Bree and Starlight. 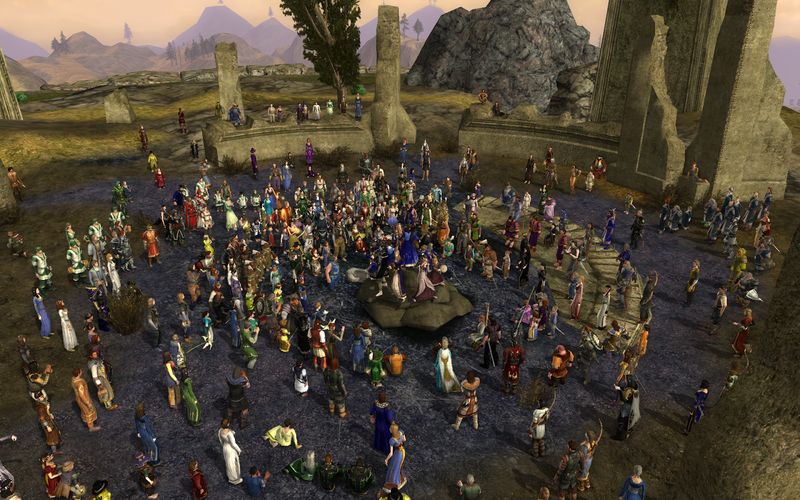 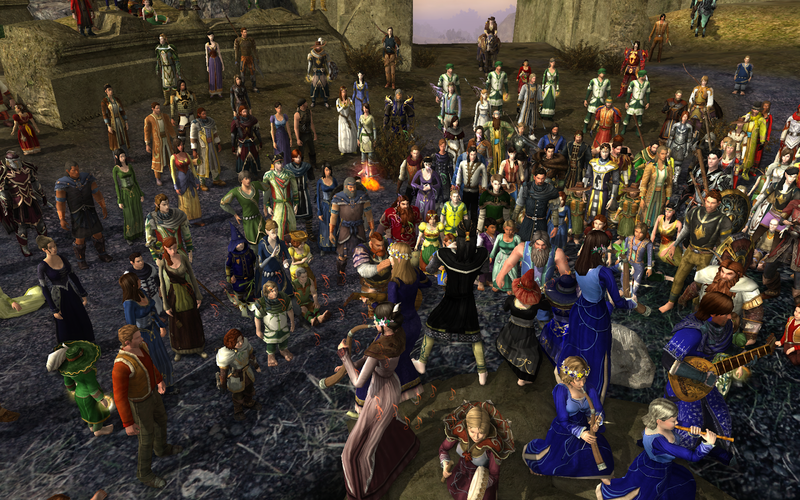 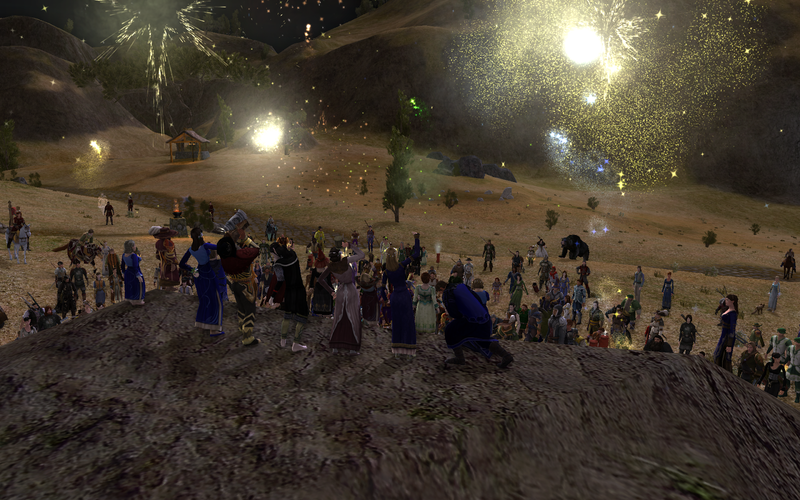 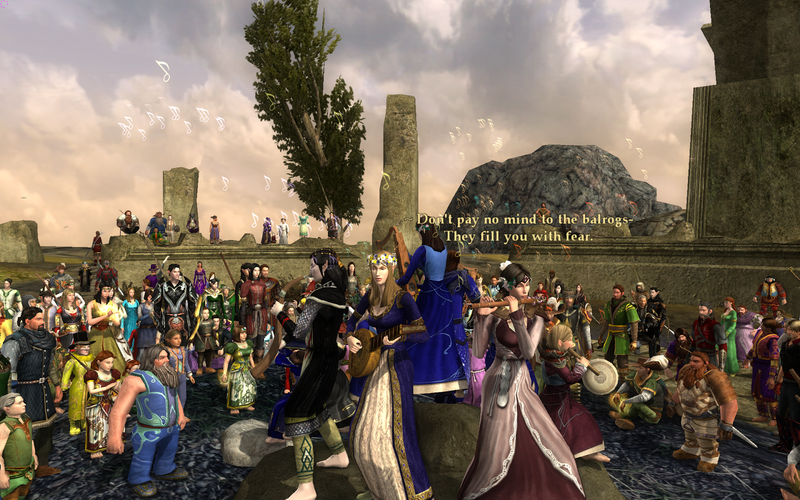 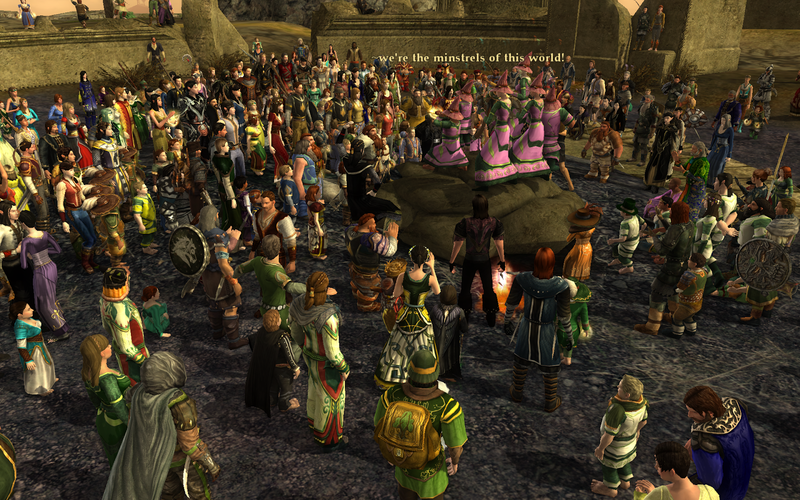 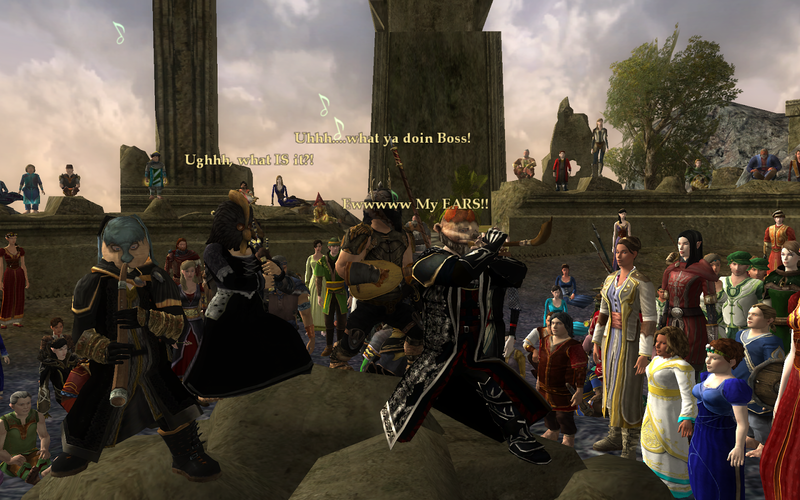 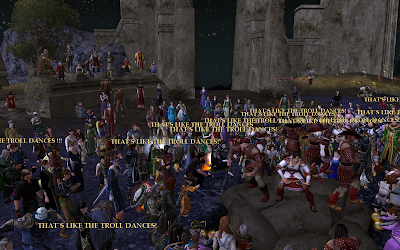 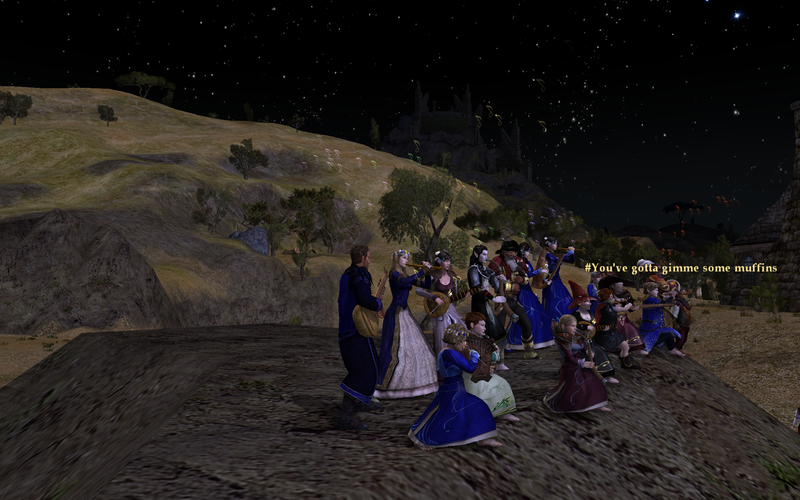 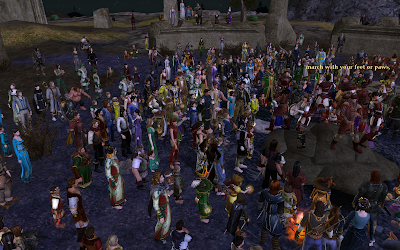 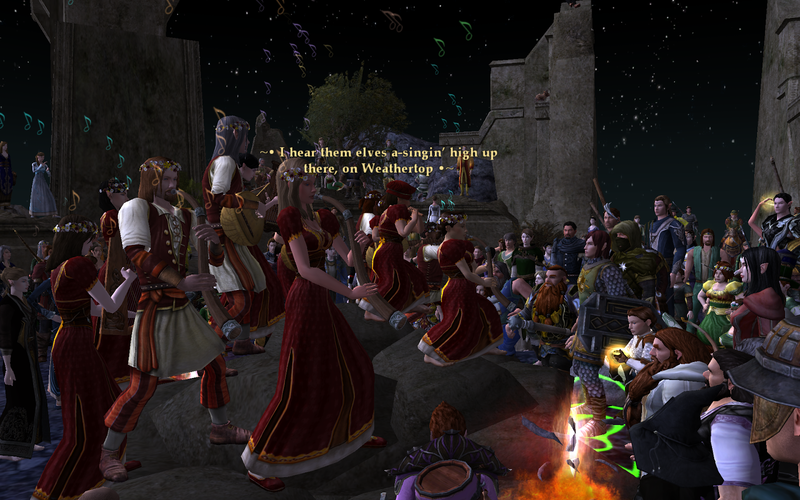 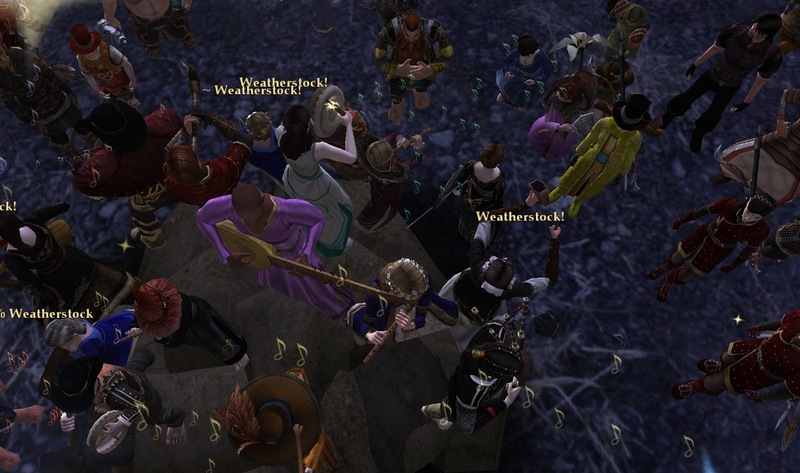 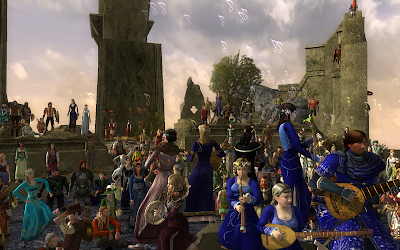 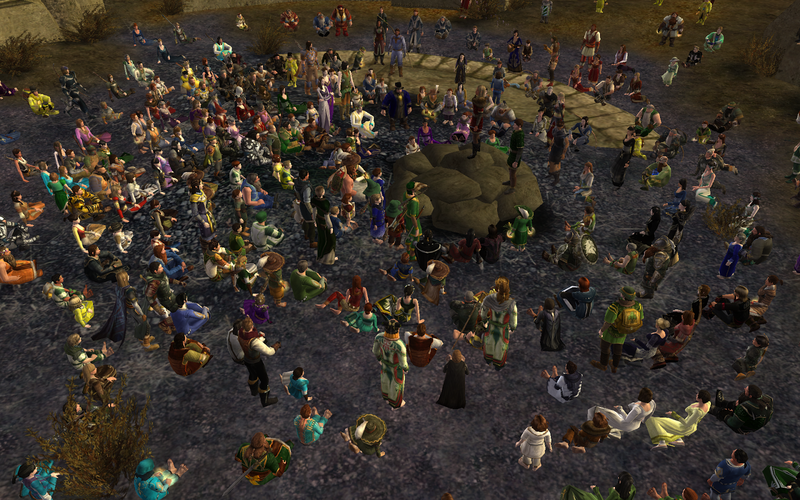 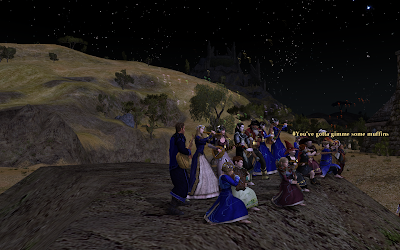 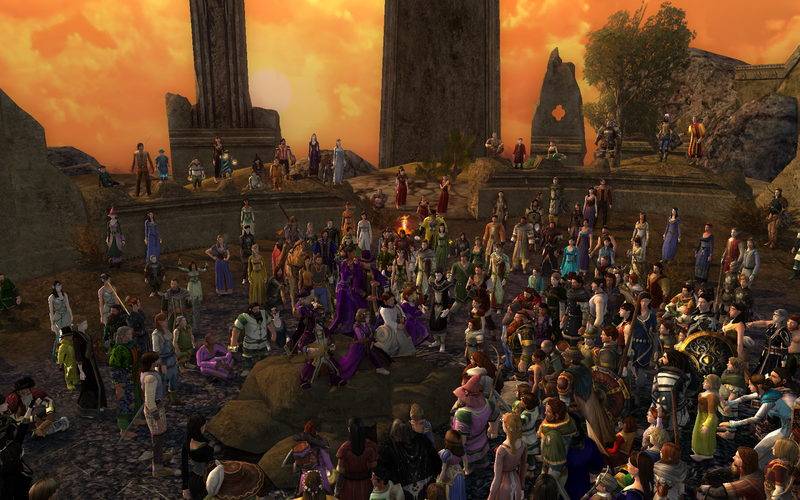 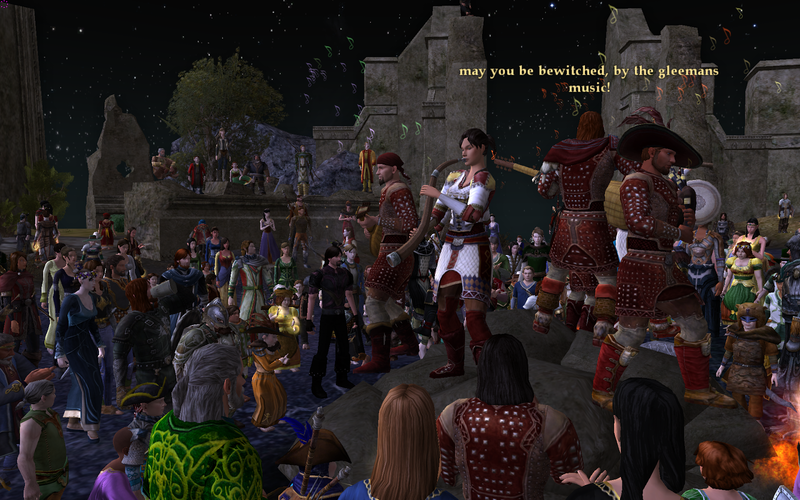 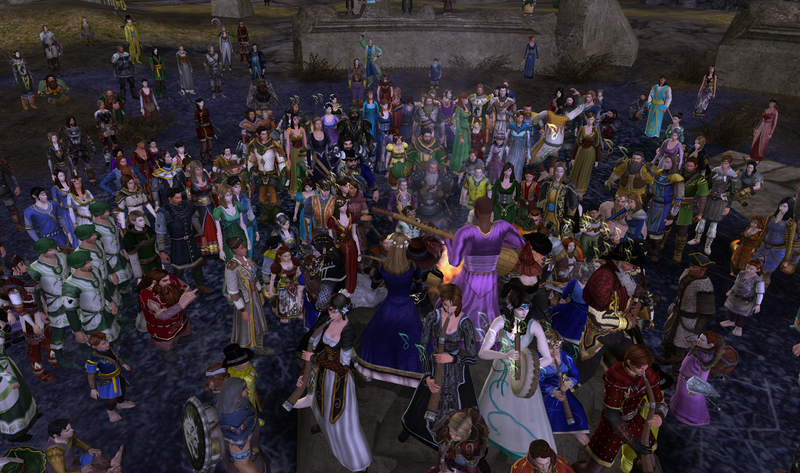 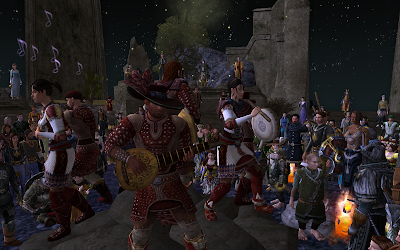 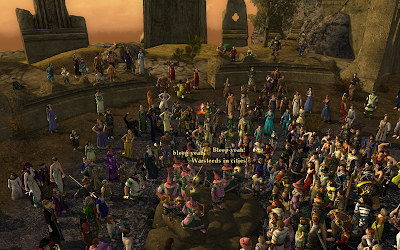 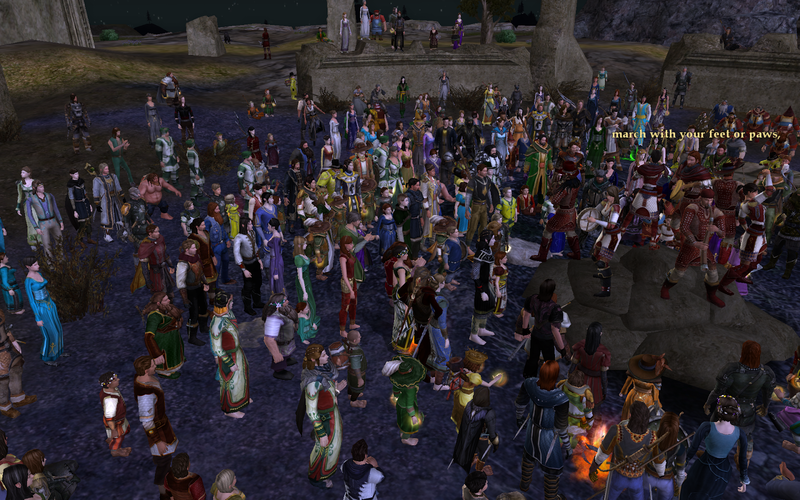 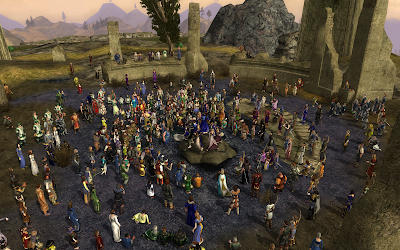 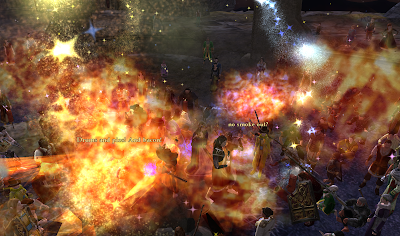 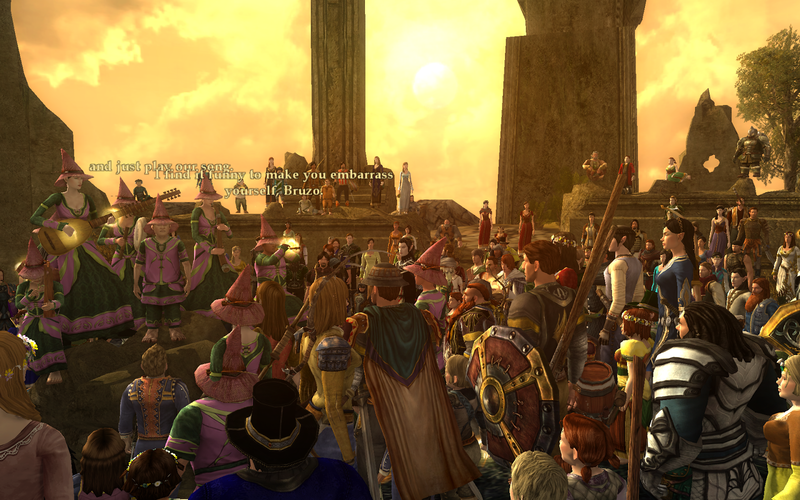 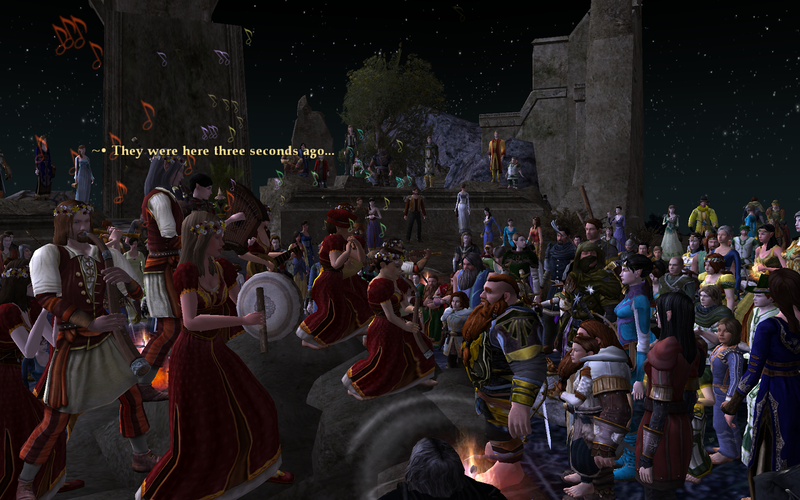 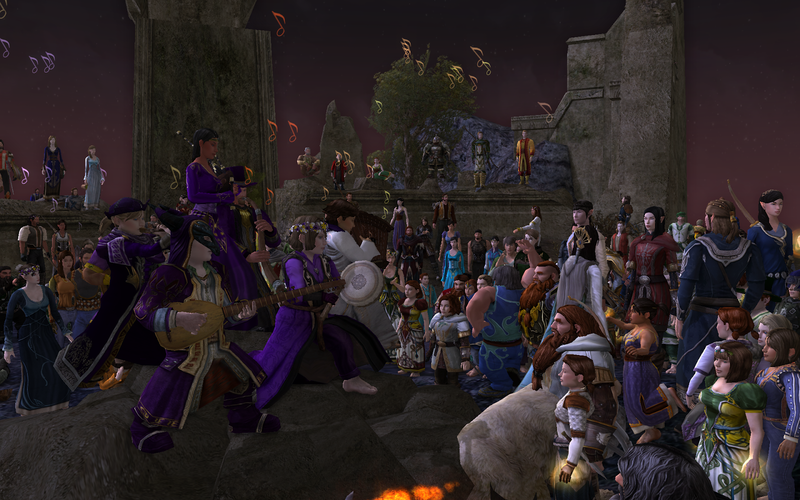 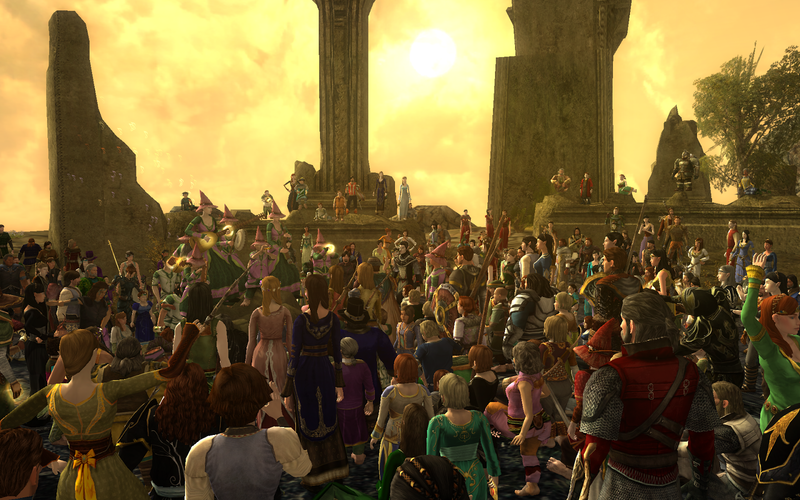 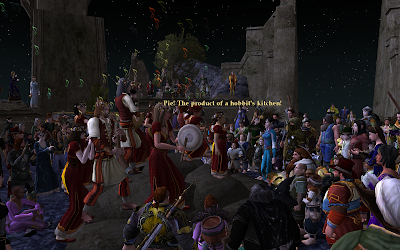 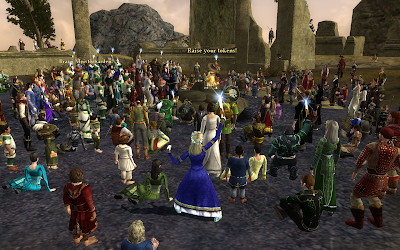 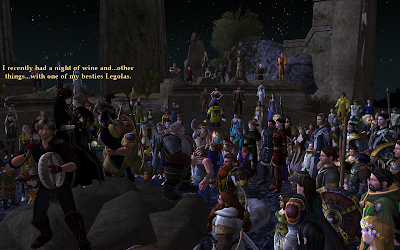 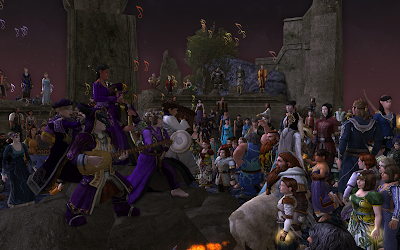 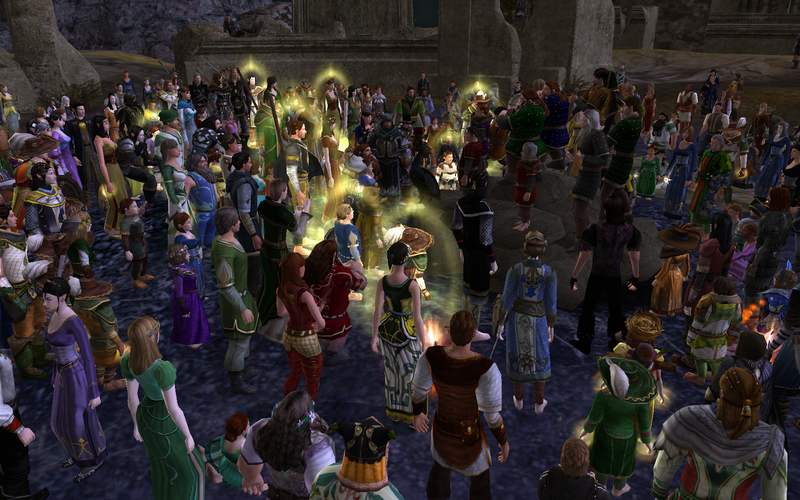 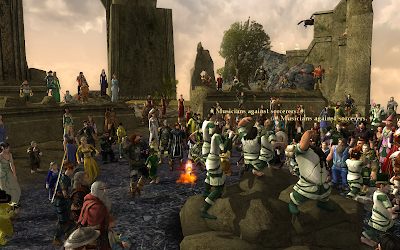 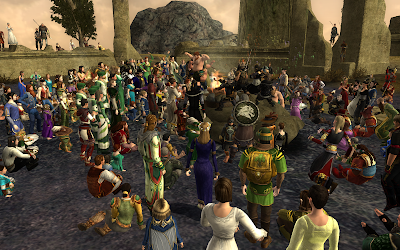 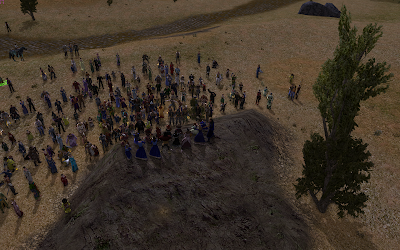 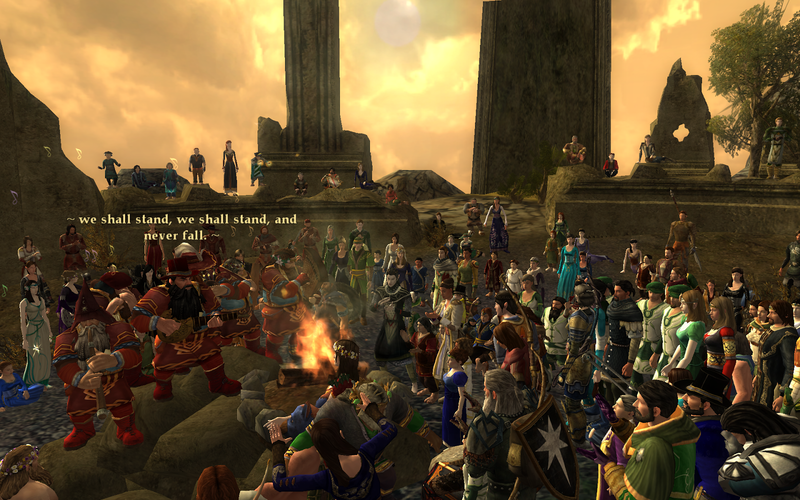 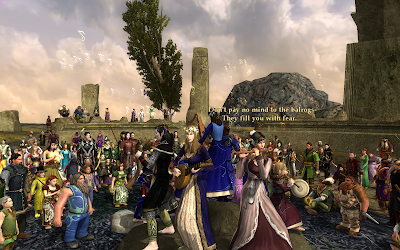 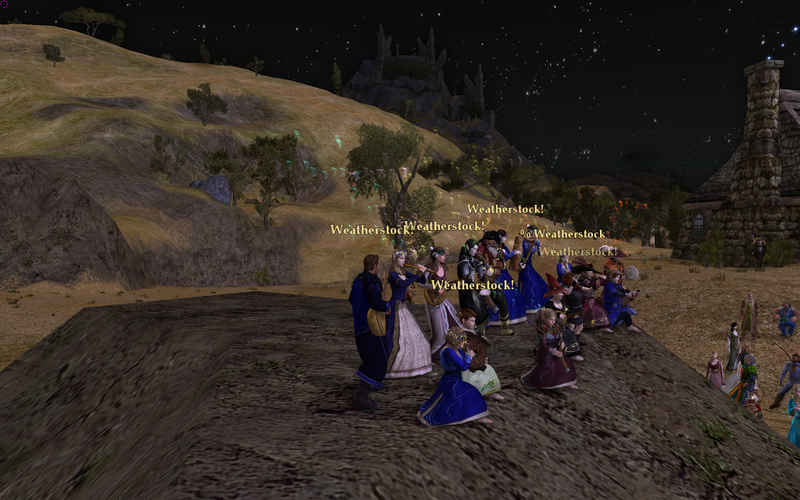 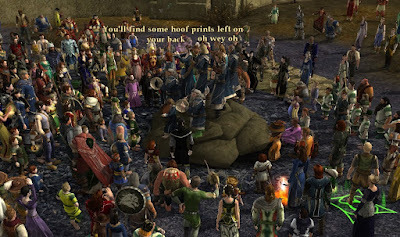 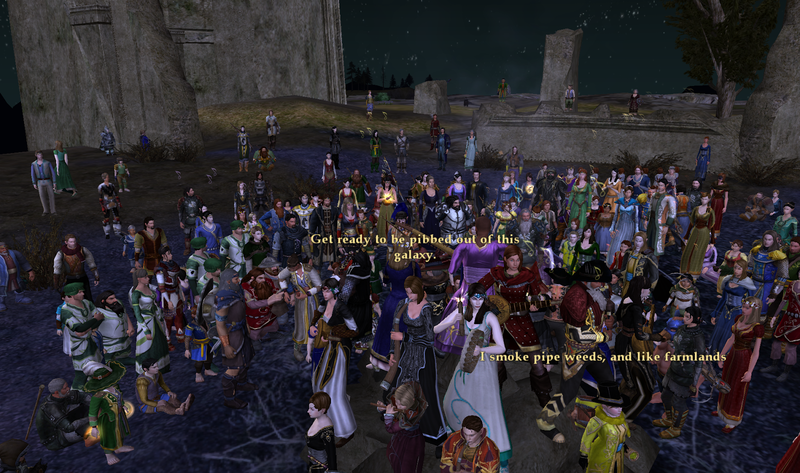 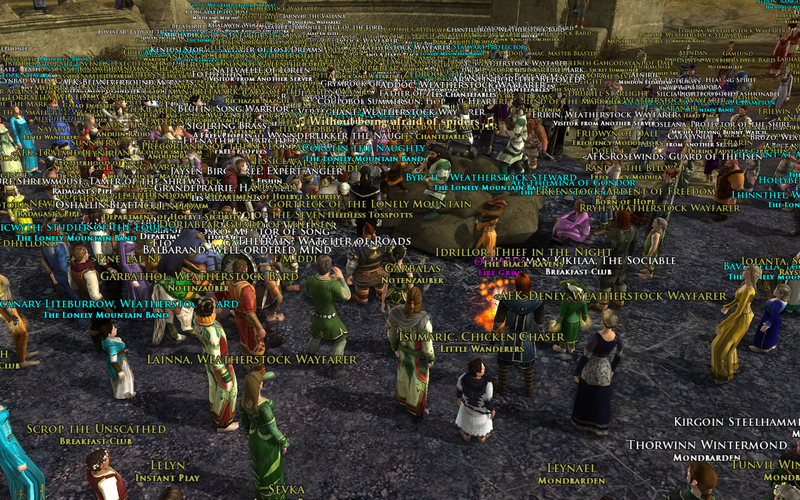 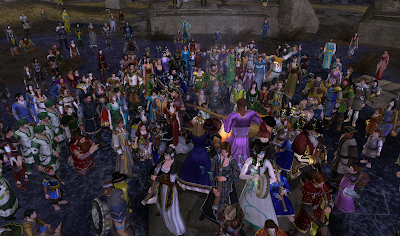 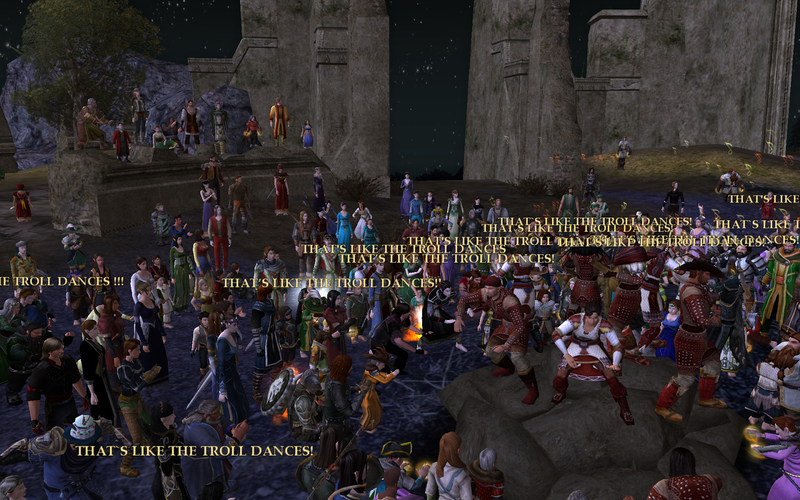 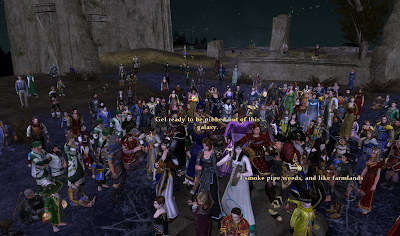 And thanks to everyone who played, and the two wonderful bands that Elimraen got to be roadie for - A Rock and a Hard Place and Mondbarden <3 My second experience of Weatherstock couldn't have been more different from the first, but it was just as memorable. 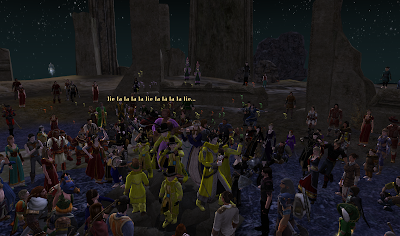 Celebnel got to be there this year, dancing in the audience as well as playing with the LMB, and Elim made an appearance between crashes/megaband sets! 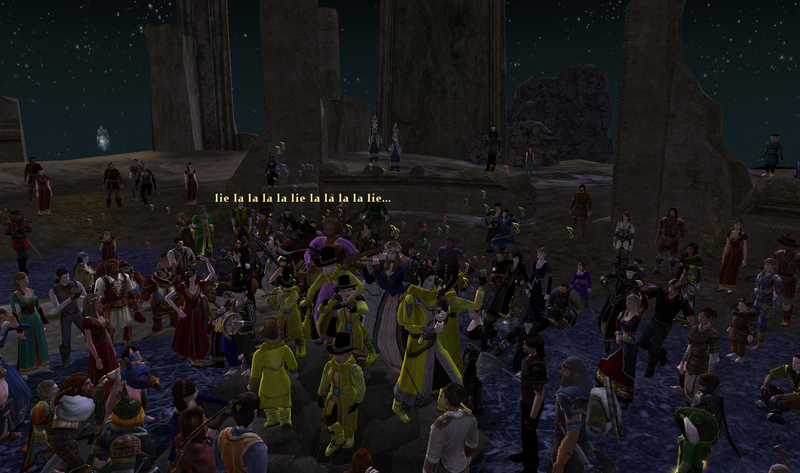 Landroval, and the LMB, I heart you. 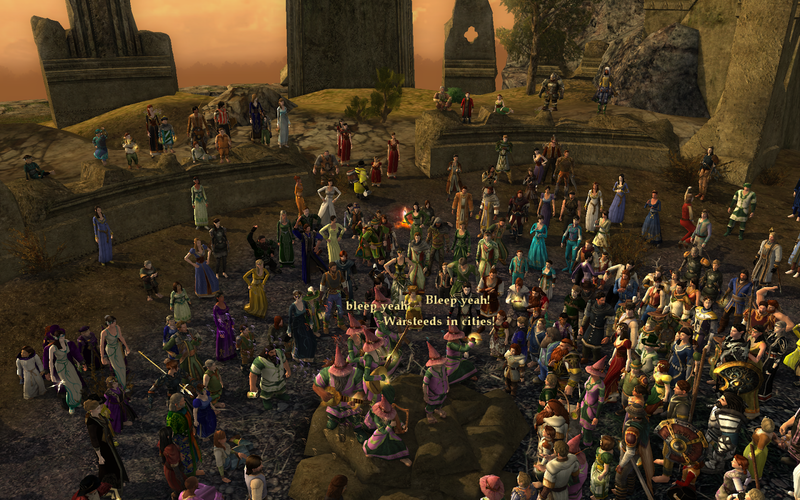 This community is special.